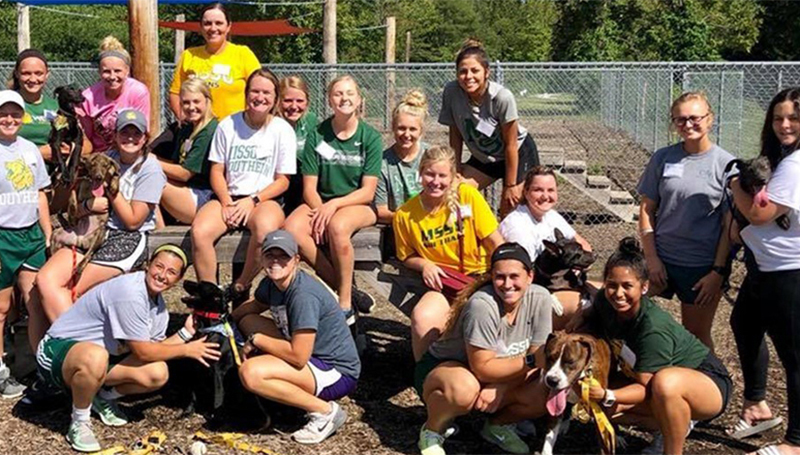 In an on-going support for the Joplin community, the Missouri Southern softball team spent hours giving back by visiting the Humane Society on September 16. The Joplin Humane Society is a shelter for pets that have been abandoned and neglected by previous owners with hopes of being adopted into compassionate homes. For a few hours, dogs and cats felt love from the Lions as the squad played, walked, and washed all pets involved on top of adopting a cat themselves.